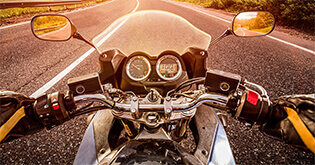 What Is Covered Under Your Two Wheeler Insurance Policy? As IRDAI law mandates it, getting an insurance cover for your two wheeler must be a matter of top priority. So, the first thing to do is to decide between the different kinds of policies available. If a third party sustains fatal or non-fatal injuries, or his/her property gets damaged due to your vehicle, your insurance cover would come to the rescue, covering the financial liability. However, if you too were injured in the process, your personal accident costs won't be covered here. OD or own damage includes loss or damage to vehicle due to natural and man-made calamities. As the name suggests, this policy gives you a comprehensive coverage option. What is Included in Your Comprehensive Policy Document? You must read your policy document thoroughly prior to signing or buying any online insurance policy. Considering that there are so many inclusions in the same, being aware of them will help you stay informed about your coverage. 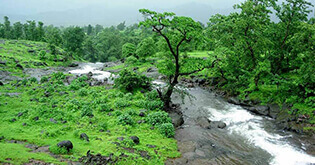 Natural events or calamities include fire, earthquakes, floods, lightning, hurricanes, typhoons or storms, landslides, rockslides, frost, rain, explosions, fires, self-ignitions, earthquakes, inundations, lightning, hurricanes, cyclones, etc. Man-made calamities include any kind of harm or damage caused to the vehicle because of humans. It could be an accident or mishap due to external factors like thefts, strikes, malicious acts, collision, etc. It also covers transit damage when your vehicle is being transferred via road, rail, water or air. 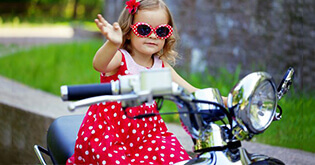 Personal accident risks for two wheelers are very high. 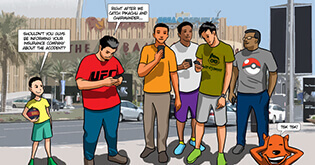 God forbid, but an accident can cause temporary or permanent disabilities. Personal accident cover includes compensation for such damages when you are riding the bike, mounting or dismounting it. 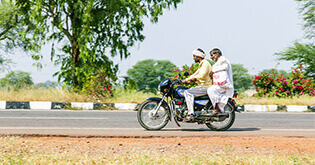 In some policies, you also get pillion rider or co-passenger cover. 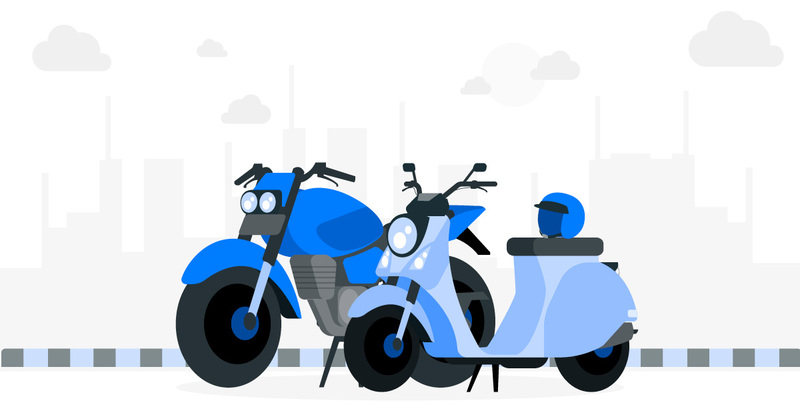 When calculating premium for your two wheeler insurance policy inclusions, IDV or insured declared value would help you in premium computation. This applies only for comprehensive policies because the third-party liability insurance is tariffed on basis of vehicle category. Most people prefer going for a cover that has lower premium. So they try declaring lower IDV for their vehicles. But do remember that at time of claim processing, your insurance company does evaluate vehicle age. The depreciation deduction would be included when finalizing the claim. Hence in some cases, though your premium was high, depreciation would result in lower claims. Note that the amount of claim you finally get is largely dependent on depreciation. 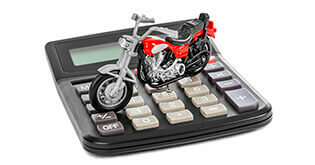 Your inclusions, especially the cover for your bike parts and damage would be prone to deductions for replaced parts. Your insurance company decides on how much depreciation factor they would include. However, you can reduce the cost of the same by opting for an add-on policy like Zero Depreciation or Nil Depreciation cover. In this case, you get compensation for damage or loss without financial deductions towards the depreciation of parts. Whenever taking insurance, remember to consider what inclusions and benefits would be made available to you. Factors like IDV do make a difference when a claim is made and you may get lower claim for parts replaced. But on the whole, you will benefit in the form of comprehensive coverage.